Waffles are delicious. Chocolate is also delicious. Marshmallows = delicious. 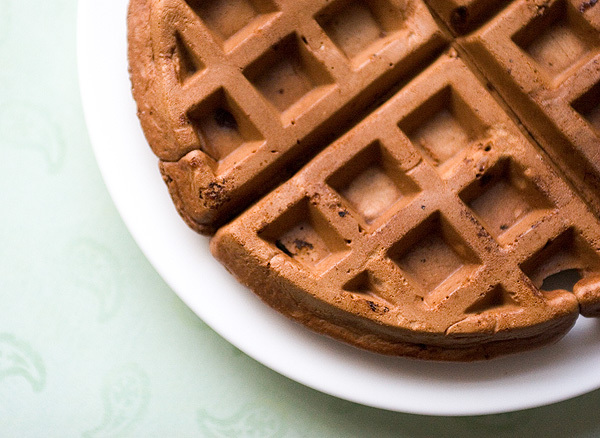 So clearly chocolate marshmallow waffles can only be one thing…EXTRAORDINARY! Breakfast as we all know is the most important meal of the day. It’s about to get sweeter with these wonderful waffles. Stir the batter to make sure the chips and marshmallows are evenly distributed, then spoon a scoop of the batter into your waffle iron, until the skillets are completely filled. Let the batter bake on the iron for 30 seconds, then close the lid and bake until the waffle is set and cooked through.